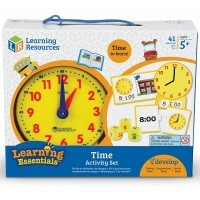 This electronic talking Telly clock provides the whole array of time learning activities. 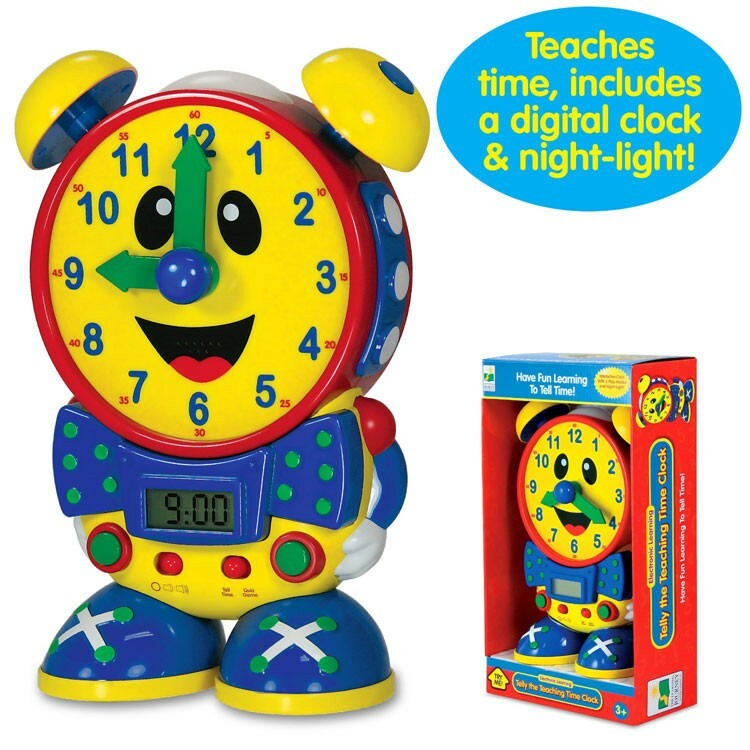 Our bestselling Telly, the Teaching Time Clock is back with a new, redesigned smiley face and extra features! 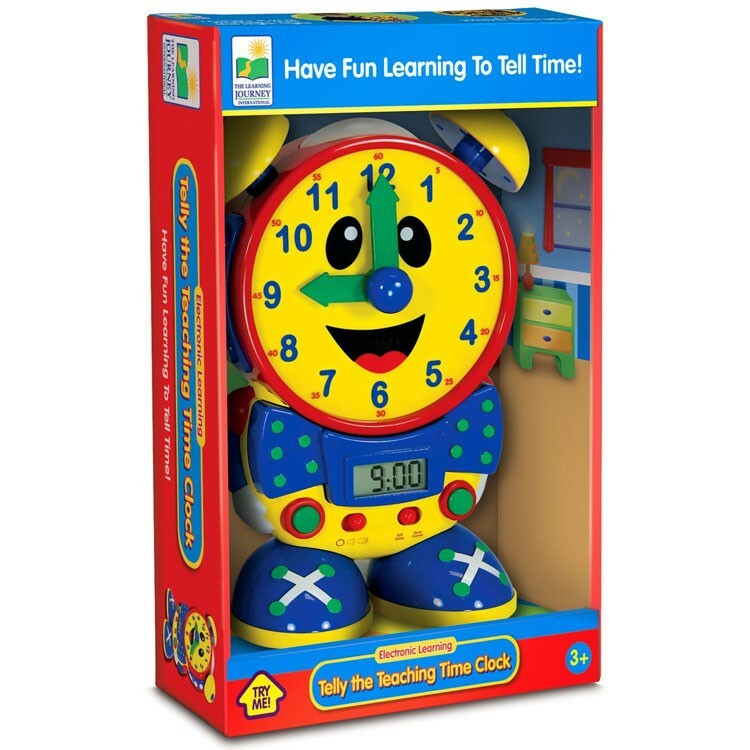 This adorable toy clock by the Learning Journey comes now in primary color scheme and looks better then ever. 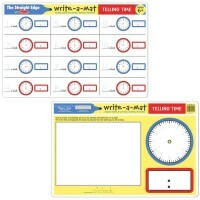 This electronic talking clock provides the whole array of time learning activities. Telly the Teaching Time Clock - Primary Colors comes with analog and digital time display. 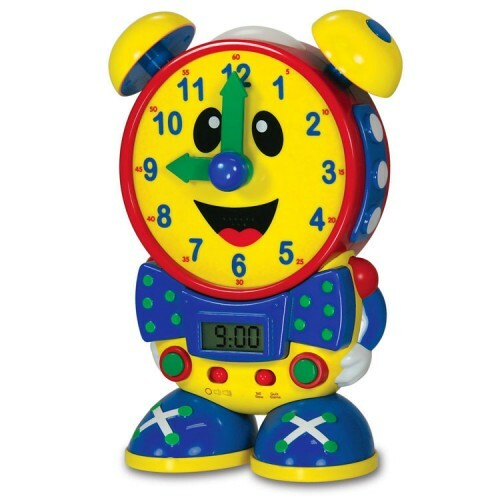 You children will learn to read the time and to tell it with the clock in 5 minute increments. 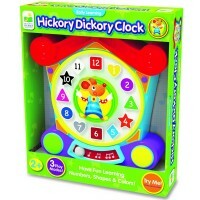 Telly the Teaching Time Clock - Primary Colors also has a quiz mode to make learning time really interactive. 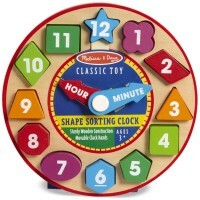 Move the arrows to show the time displayed on a digital screen. 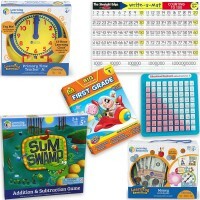 Play and learn with this amazingly designed teaching clock from Educational Toys Planet. 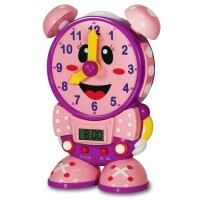 The Telly toy clock is also available in pink color. 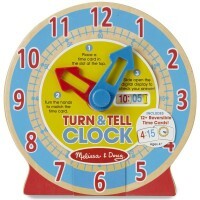 The talking clock requires 3 AA batteries (included). 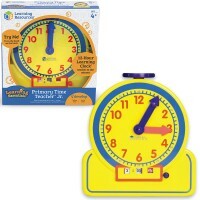 Dimensions of package 2.36" x 11.12" x 8.27"
Write your own review of Telly the Teaching Time Clock - Primary Colors. 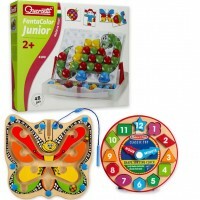 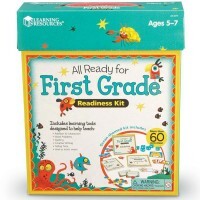 Rating: 4 Fun Learning Toy by jbit This is a great learning toy. 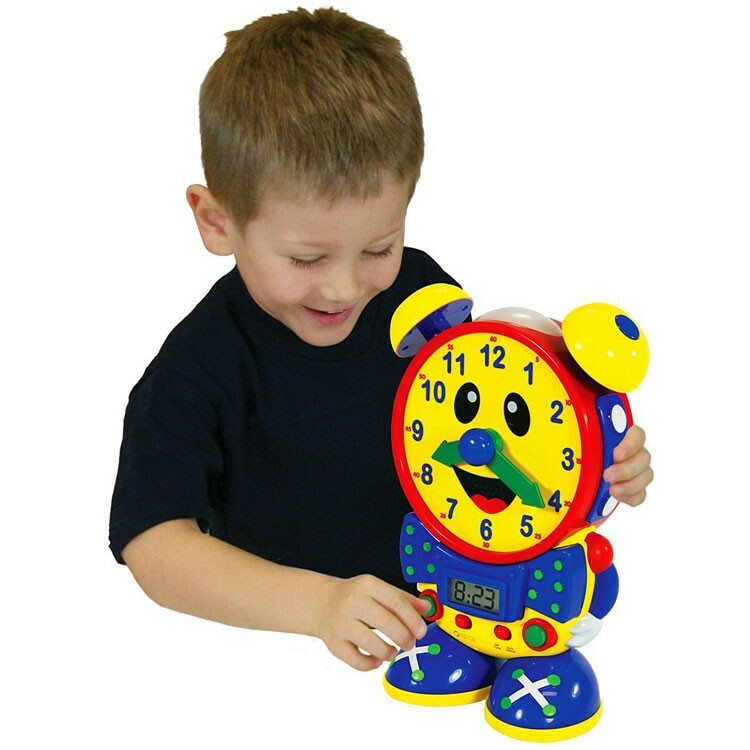 The only downfall is that I wish the hour hand could move solely instead of having to move the minute hand all the way around the clock to get the hour hand to move.